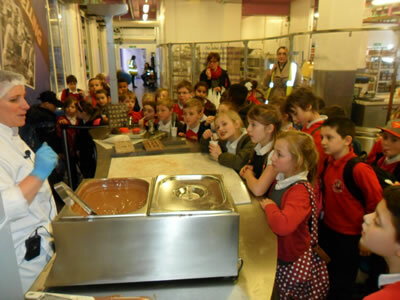 Our school meals provider is Chartwells. Chartwells use fresh, high quality and locally sourced ingredients that the children enjoy. Every day there will be a hot meal, vegetarian option, jacket potato and salad bar and all the meals are homemade and cooked on site daily. Along with these there is fresh bread baked daily, fresh fruit and natural yoghurt. All children, who are in Reception, Year 1 and Year 2, will still be entitled to receive a daily free school meal. For children in Year 3, 4, 5 and 6, the price of a school dinner £2.05 per day or £10.25 per week. Alternatively children may bring their own packed lunch to school and are encouraged to provide food in line with our healthy eating aims. Fruit is provided daily for all Reception and Key Stage 1 pupils and is eaten with a drink at playtime in the morning. Water bottles are provided in the classroom. These will be available during the day. Toast, cereal, fruit and cooked options are available at breakfast club each morning for purchase. Children in The Two Year old nursery, three year old nursery and Reception class are entitled to free milk. Children who are enititled to Free School Meals are also enititled to free milk. You can also purchase milk. It is £48.75 for the whole year. The method of payment for this scheme is in advance direct to School Milk Services, by cheque, postal order (made payable to School Milk Services Ltd) or credit card payment. More information is available from the school office. All school meals should be paid for in advance. The usual collection day is Monday (or the first day of the week if different) although payment can also be made at the start of the term for the whole term. A letter will be sent home with the child on the Friday (or last day of the week) or a text message sent informing the parents/carers of the arrears. If no payment is received the following week and arrears have accumulated to the value of 5 school dinners, a further letter will be posted to the parents/carers requesting immediate payment and to provide their children with a packed lunch until the arrears has been cleared. Any monies received by the school will be used to reduce the debt until it has been fully paid. If arrears to the value of 5 school dinners are accumulated on 3 separate occasions, any future school meals will only be provided if paid for in advance. A letter will be sent to parents/carers to confirm this action. If this point is reached, responsibility for the provision of lunch will lie with the parent/carer. If payment in advance or a packed lunch is not provided this will be regarded as a welfare issue and consideration will be given to First Response being contacted. If you feel your child is entitled to Free School Meals, then please ask for a form. Also, if you bring in your proof of benefit, we can send the details off from here which means your entitlement will start sooner.